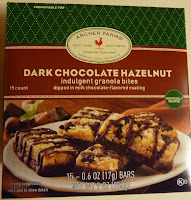 The last dark chocolate Archer Farms item we reviewed was a big winner. And I'm not even really a huge fan of dark chocolate. 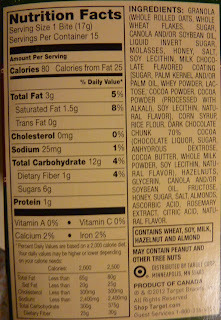 I prefer the sugary, candy-esque rush of white chocolate or milk chocolate. But I'm getting older, and my tastes are being refined day by day. Dark chocolate is definitely slightly better for me, I know that much. 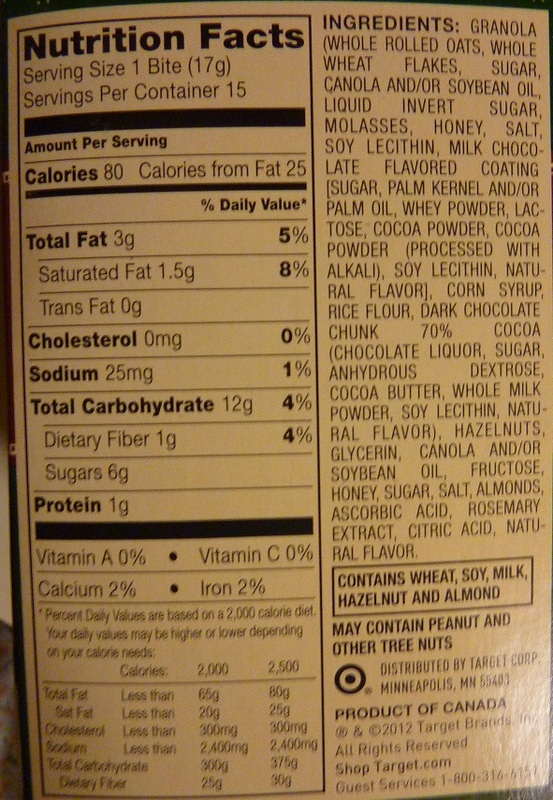 Not only is there less sugar, but there are more antioxidants. Plus, it makes my blog seem so much more sophisticated. Posting links to dark chocolate product reviews makes me feel like a real grown-up. Especially when it involves hazelnuts...or really any nuts other than peanuts...which are actually legumes, not nuts. But that's neither here nor there. Do these taste good? Yes...if you like dark chocolate. And, as I mentioned before, I'm a much bigger fan of sweeter chocolates. I think these would be absolutely killer covered in white chocolate. I wish, I wish, I wish...for more white chocolate-covered things at Archer Farms. But in the words of R.E.M., "If wishes were trees, those trees would be fallin'." And I'm pretty sure that means we should just deal with reality instead of talking about silly pipe dreams like more white chocolate Archer Farms products. Fine. I try to put myself in the shoes of a dark chocolate lover when I try items like this. And I'm usually quite pleased. I'm very good at role playing. As was the case with the Salt Caramel Almond Bites, the portions are incredibly small. They really are just "bites." But that's good. It's a chance for fatties like me to exercise portion control. 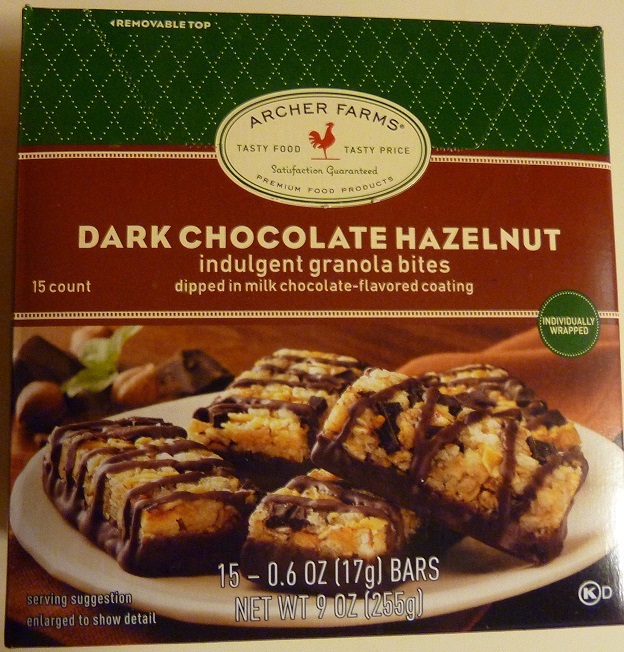 And unlike other Archer Farms items with "hazelnut" in the title, you can actually taste hazelnut here. The difference between these little snackies and just your run-of-the-mill, generic chocolate-covered granola bars is subtle, but it's definitely there.